Transformer theme is an elegant powerful and fully responsive prestashop theme with modern design. Suitable for every type of store. We are now focusing on creating demo sites of Transformer v4 for Prestashop 1.7, still needs some time, but would not be long. Here are some things about 1.7. First thanks for Prestashop development team’s hard work, 1.7 is great, I like it, but it is still not stable, my suggestion is that do not use it on productive sites now. Since 1.6 and the theme are quite stable, you can still use them for a long time, 1.6 will continue to be maintained by Prestashop developers for two years after the release of 1.7 . All themes must to be re-written to work on 1.7. Things for modules are much easier, it means modules can be compatible with 1.7 within days. According to the latest news, Prestashop developers are upgrading the one-click upgrade module to work with the transition to version 1.7 data only, which means you don’t not need to recreate your whole site but the front office. Re-writing the theme gives us a change to make the theme better. 1.7 does not have “Product Comments”, “Whishlist” and “Customer loyalty and rewards” modules, I don’t know if they have plans to add those modules. We have plans to create a “Product Comments” module and a “Product Whishlist” module. If you have any questions please contact us via here, we’ll do our best to assist. Prestashop Visual Composer Addons For Transformer Theme By Smartdatasoft team is now available, thanks for their hard work. It is super easy to customize a site with the addons. Responsive layout. You can enable/disable responsive mode. Show product attributes like size and color in the product list. Custom tab for product page, ready to display any content: video, size charts, etc. Product sliders for Cross sale products and Accessiray. Images are used only for preview purposes and are not included in the package. Added a quantity box before every add to cart button. Added possibility to show popup windows on some other pages not only on homepage. Added possibility to use the mobile header on Android tablet and iPad, even on desktop. Display count down timers on the left/right column. Added possibility to center the copyright section. Added possibility to show custom content block, which are assigned to the fullwidth* hooks, on the category page, product page etc. Optimized the product page for mobile devices. Added possibility to place the shopping cart along with the menu. Added an option to zoom product images on hover. Added an option to the Advanced banner module to stop resizeing banner images. New settings for 2+ level menu items. Added possibility to change the “blog” text in blog urls. Footer accordions on mobile version can be opened by clicking their titles. Settings for the main product name. Display level 4+ menu items under their parent items. Added an option to stop sub-categories using their parent categories’ slideshows and banners. Language switcher and currcy switcher can display languages and currecies in buttons. Added possibility to remove product thumbnails from search results. Added possibility to change font size globally. Added possiblity to show a menu item on mobile devices only. Added possiblity to show thunbnail images in grid view on the product page. Added an option to show the Left/right column on the top/bottom of the main column on moblie view. Change the shadow style when in Boxed style. How to set up a site as the demo 8. How to set up your theme as the demo 12. Ability to put advanced banners to the top of cms pages. Added an option to show custom contents on mobile devices only. Added a new image type “thickbox_default_2x”(700×800) so please regenerate this type of product thumbnails. If all your product images are larger than 700×800, for example 1400×1600, then you can increase the size of the thickbox_default_2x image type to 1400×1600 to make popup product images look sharp on iPad. Removed the /modules/stmegamenu/ folder from the /Prestashop1.6/update.x.zip file. Updated “Facebook Like Box” module to “Facebook page plugin” module. Ability to change spacing between modules. Ability to change the width of footer blocks. Full width custom content block. Ability to set a background for each block. Added option to align the block titles to center. Added option to make previous and next buttons on each side. Added option to change the width of logo section. 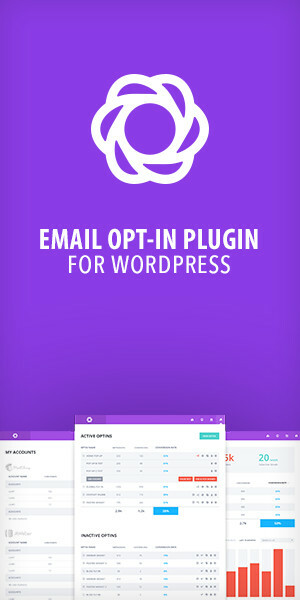 Ability to manage flyout buttons via Theme editor module. Added an efficient way to move a module from one hook to another. Improved layout of the blog homepage. Ability to show “Add to cart” buttons below the product name. Ability to hide/show the title text of menu items when mouse over. Ability to move product tabs to right hand side of product images. Added the config for show/hide flag image in language selector. Added the config for show/hide currency symbol in currecy selector. Ability to put custom content in Contact us page. Ability to show all manufacturers in the menu as a list. Ability to show Cart and Search on the top bar. Ability to put the menu to the right side of the logo. Added possibility to put slideshow into CMS pages. Unable to add products to megamenu. How do i update the theme with the new version? Added new module “Hover image”. Switch back to desktop version link. Option to display tags on product page. RTL support – Click here view RTL demo. Fixed price font size bug. Added possibility of changing menu text color on mobile version via color picker. Added an option to change the header text color. Show custom tab by manufacturer. “Add this button” module update. Possibility to disable and select your own buttons. Possibility to change position of menu(left/right/center). Megamenu module. Added Blog link, new products link, special products link, etc. Added an option to center logo. Added round circle sticker and you can upload your own icon as sticker. Added an option to change number of subcategories per row in grid view. Added possibility to hook product slider(New products slider, Special products slider, etc.) on footer. Added possibility to add banners to slideshow. Fixed quickview module translation problem. Added new option for change length of product name. Added sorting option for banner group. Ability to hide products slider on mobile devices. Added possibility to hook product slider(New products slider, Special products slider, etc.) on product page. Improved the layout of the Referral program and Best vouchers. Added layered blog page PSD files. Added an “Accept comment” options in the blog module. Added sort option to “New products slider” and “Special Products Slider”. Blog module. Video tutorial: Transformer blog module setup. Added possibility to hook New products slider, Special products slider, Category products slider and Featured products slider on Right column and Left column.